When celebrating the esteemed career of someone, convention dictates that you should always eulogise a few highlights from said career. But with some people that’s easier said than done, especially when that person’s list of credits is into triple figures. 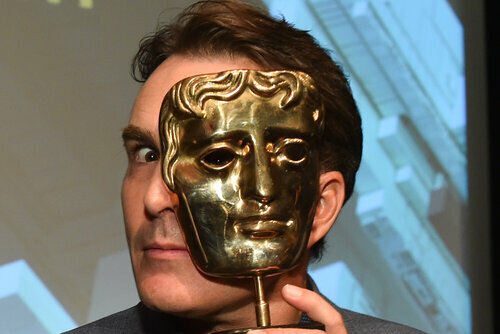 Nolan North, actor, performer and voice actor, is one of those people. 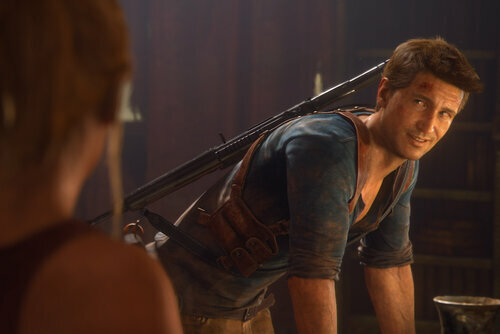 North’s probably best known for Nathan Drake, the lead character of the Uncharted series of games, a performance for which he was thrice nominated for a BAFTA. But ask any gamer for their favourite North voiced character and you could receive dozens of suggestions, including Desmond Miles, Martin Walker, the guardian’s Ghost, the Prince of Persia, Deadpool, Superman, Alberto Clemente, Doctor N Gin, the Penguin, David the cannibal, the Black Hand of Sauron and the list really does go on and on. And this is just his gameography; he has plenty of notable credits in live action film, television and animation, too. Given this pedigree, it is perhaps a surprise to learn that North has never won a BAFTA. 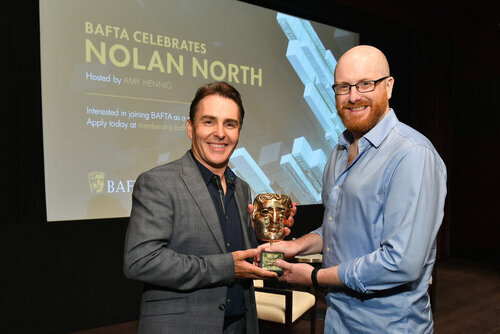 This was rectified on 11 June at a special event in West Hollywood, on the eve of the start of this year’s E3, when North was honoured with a BAFTA Special Award. 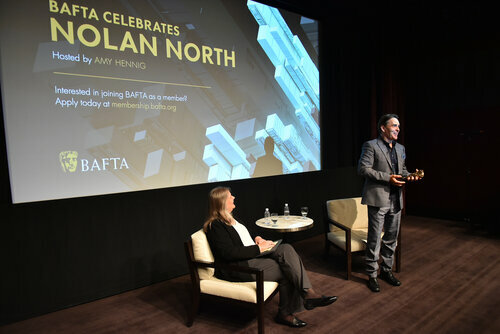 An interview was helmed by Amy Hennig, the head writer and creative director of the Uncharted series (who herself had received a Special Award in 2016), before North was given the trophy by BAFTA’s Chair of the Games Committee, Nick Button-Brown. 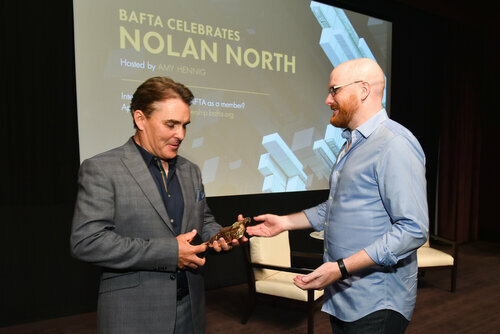 The award was presented in recognition of North’s outstanding contribution to games, having helped set the standard as a pioneer for exceptional performances in the medium. From Port Charles, North landed several other roles but it was working in games that he seemed to enjoy the most success – the 180-plus games under his belt to date would certainly back that up. Just as Andy Serkis has done much to popularise motion capture (mocap)/performance capture in films, North has been at the forefront of this technology in games. 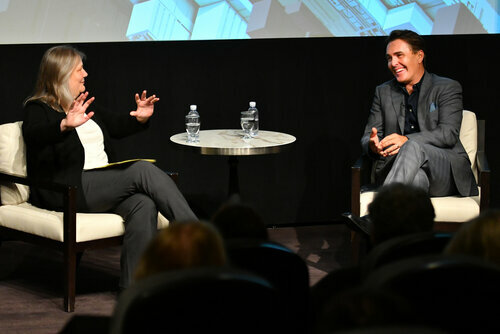 He recalled the first time he ever experienced working in mocap, heading to San Diego, almost on a whim, to take on the role of a sports agent in NBA ‘06’s ‘The List’, a forerunner of the career mode that is so prevalent in modern sports sims. 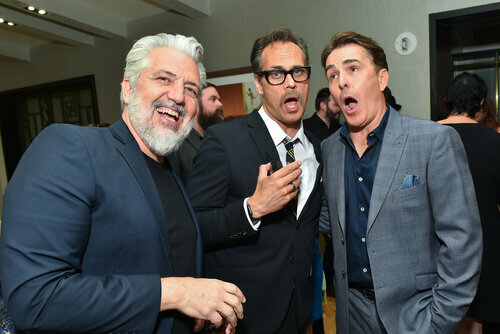 Nolan North’s wonderful sense of play has entertained and elicited heartfelt emotion in gamers for decades, and long may this continue. 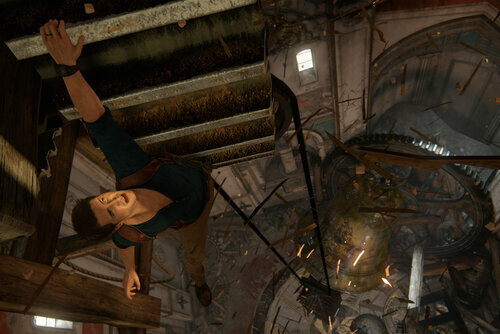 Nathan Drake may well have hung up his adventurer’s hat for the last time (please say it ain’t so, Naughty Dog! ), but we have a feeling there’s plenty more exhilarating performances to come from his real-life counterpart. 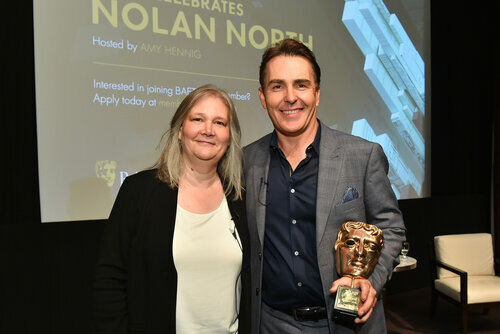 Watch the full Q&A with Amy Hennig and Nolan North here.